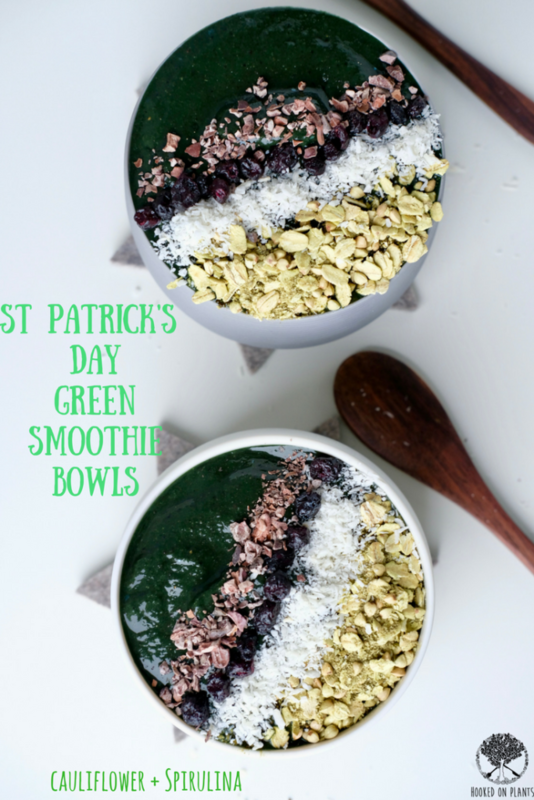 St. Paddy’s Day is just around the corner, so it’s time to get in as much of the colour green as humanly possible with this cauliflower spirulina smoothie bowl. Make this uber healthy, nutrient-dense breakfast so you can happily balance it out with that green beer later! Warning: The energy you’ll receive from this bowl o’ goodness might have you dancing on tables to those Irish fiddles until the sun comes up. 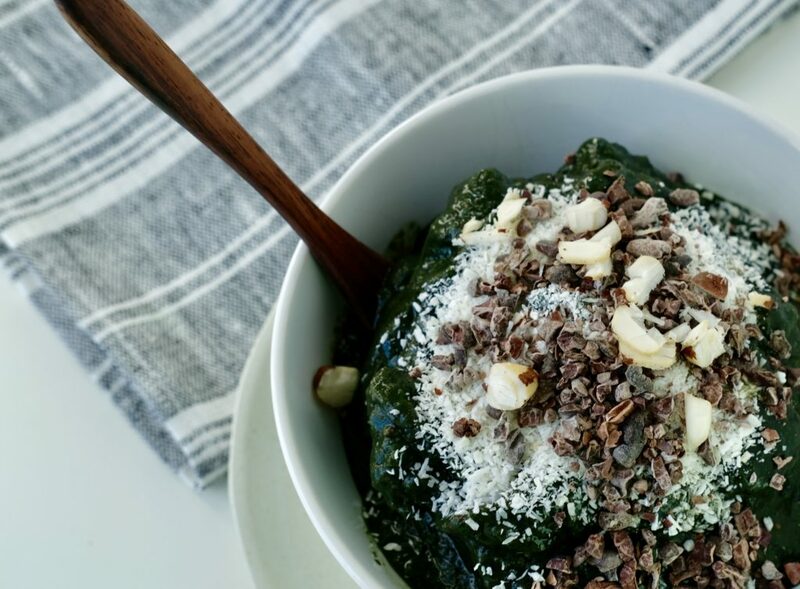 This recipe is pretty much the most amount of nutrients you can fit into your blender, blended into a thick smoothie bowl and topped off with any kind of superfoods you have in the house! Smoothie bowls are a go-to around here. Smoothies are great too, but bowls are better. Why? 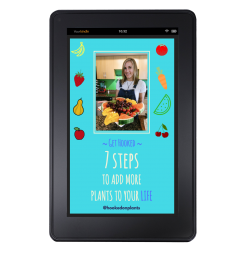 Smoothies go down too quick (unless you’re mindfully paying attention to chewing your liquid). It’s good to take your time eating blended anything, and actually CHEW your smoothie. Sounds weird, I know. But, by chewing, your mouth releases saliva with amylase (the digestive enzyme for carbohydrates). 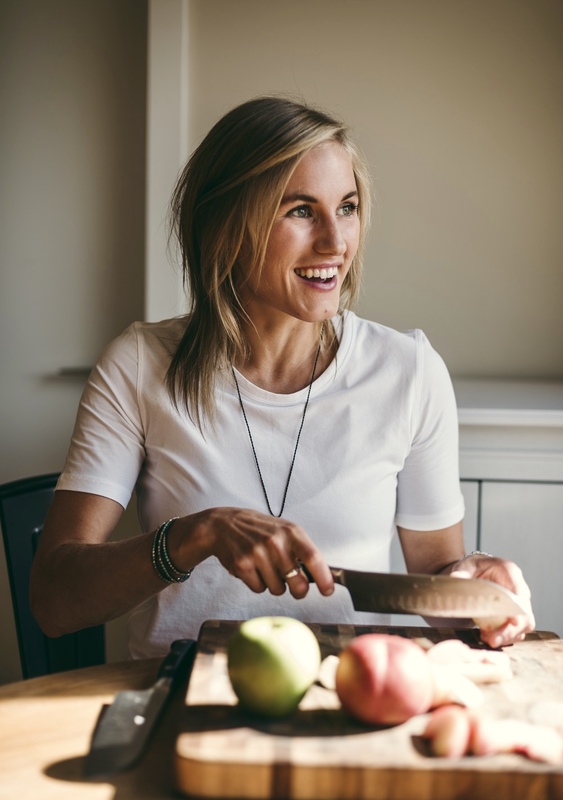 This is where it all begins (digestion, that is), so if you skip this step of physically chewing, the food by-passes the mouth without the first initial breakdown of nutrients. This makes it harder on the rest of your body during the digestion process. You might be thinking… Cauliflower in a smoothie WHAT?! But seriously, it creates a creamy texture and adds mega benefits. 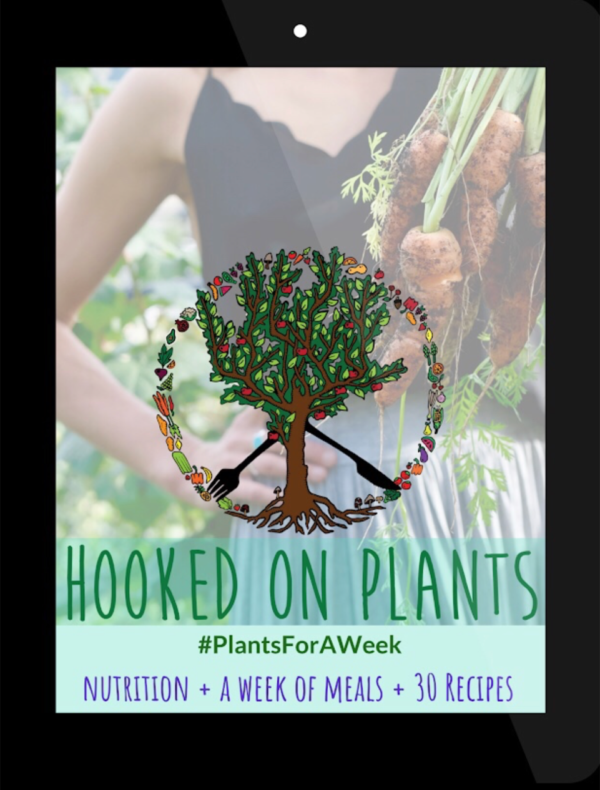 We should be eating something from the cruciferous family on the daily (cauli, broccoli, cabbage, kale, brussel sprouts, bok choy, collard greens…), and this is an easy way to get it in ya. 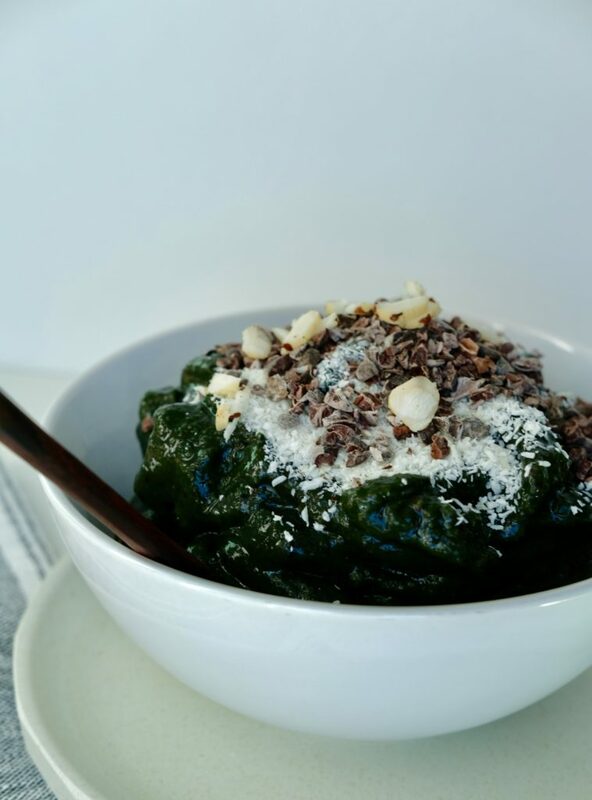 Spirulina is one of the most detoxifying ingredients you can consume! It’s a blue green micro-algae with magical powers. Plus, it’s 60% protein (!) and packed with vitamins K1, K2, B12, A plus minerals iron, manganese and chromium. It’s extremely potent, so you don’t need much of it to reap the benefits. The antioxidants and phytonutrients will help decrease signs of aging and ward of disease and inflammation. Cauliflower as I said earlier is a member of the cruciferous vegetable fam. This family is packed with disease-fighting phytochemicals, drastically lowering your rise of cancer and cell oxidation. Greens of any kind are king when it comes to nutrient density. Chlorophyll, phytonutrients, antioxidants, fibre… these are all ingredients your body thrives on. 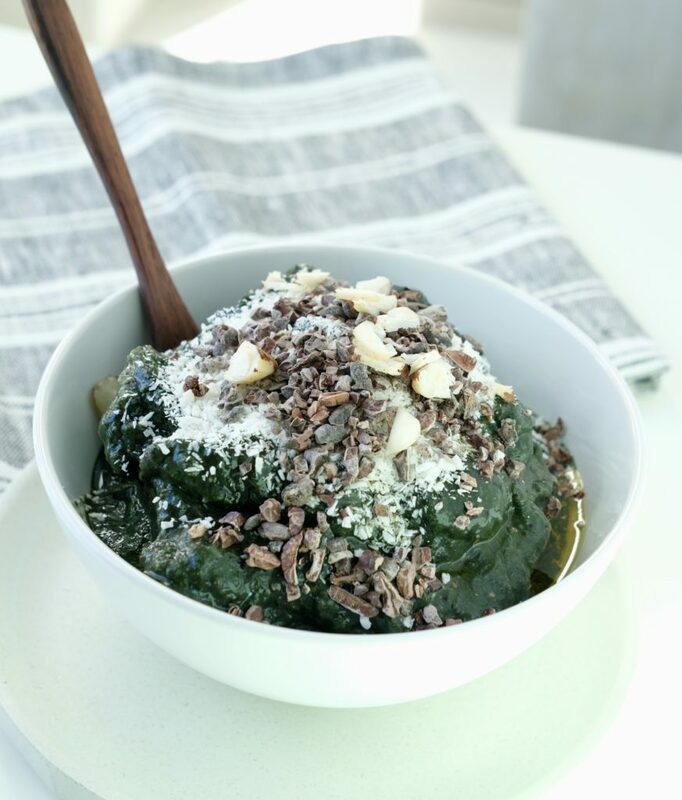 You’ll be bursting with energy and vitality if you pack your mouth with greens at any chance you get. I always wing it when it comes to smoothies! 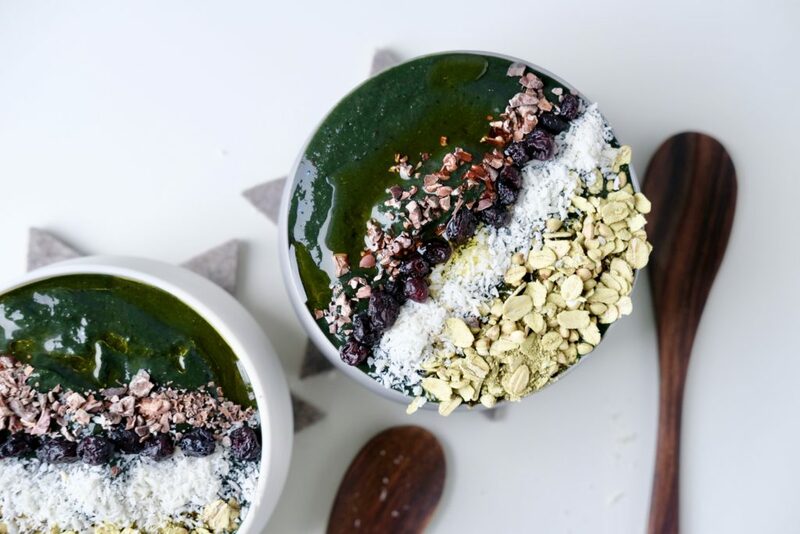 But, this gives you a good idea of proportions for a deep green smoothie bowl! Feel free to add more or less of anything, it will all work out. If you need more sweetness, add more dates or banana! Try to pack in as many green leaves as possible. Fill your blender with all the smoothie ingredients in this order: ginger, greens, cauliflower, spirulina, berries, banana, dates, almond milk. Blend on low-medium, and use your tamper to help the consistency become as smooth as possible. Add a bit of water if needed to help blend. If you don't have a tamper for your blender, just add a bit more liquid so it blends on it's own (you'll just have a runnier smoothie bowl)! 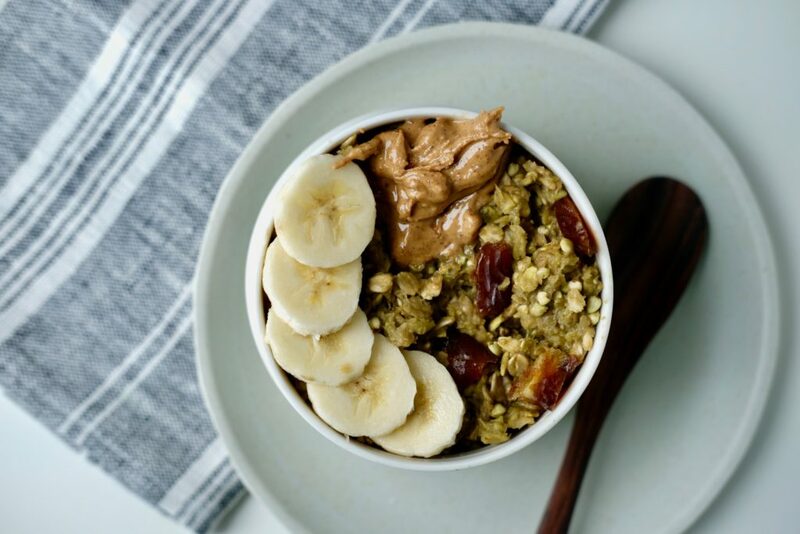 Pour into your favourite bowl, and top it with your favourite toppings!